Place beef, soy sauce, mirin, ginger, garlic, sesame oil, sesame seeds, green onions and pepper in a large zip top bag, seal, and shake to combine all of the ingredients. Refrigerate the beef for 2 hours to fully absorb the marinade. Prepare grill for high-heat cooking, placing the mesh grill basket on the grill to preheat. Remove beef from the marinade and place in the grill basket. Allow the beef to cook for approximately 10 minutes, stirring frequently until thoroughly cooked. 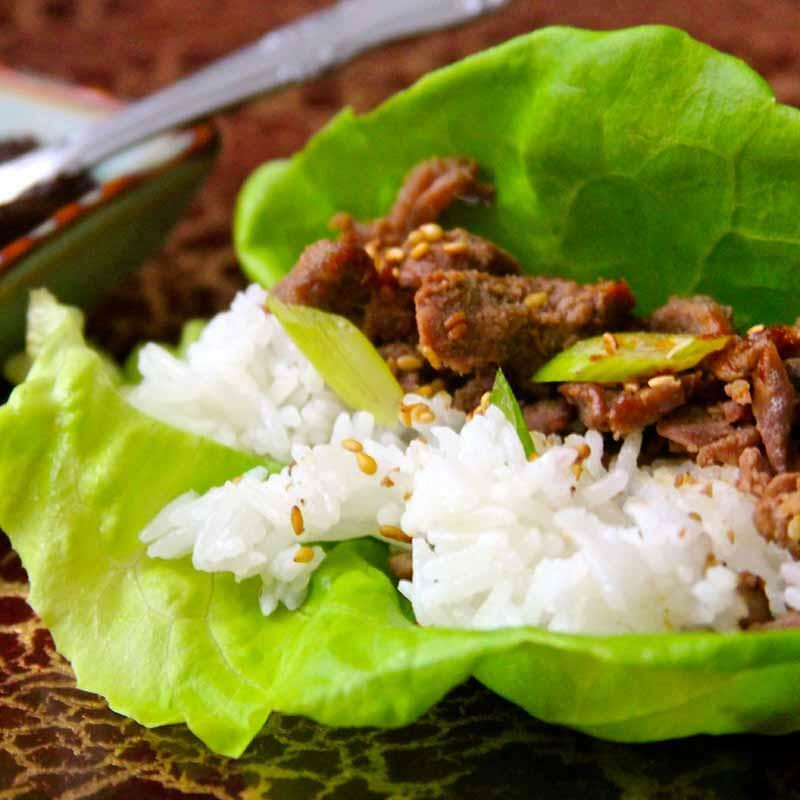 Remove beef from the grill and serve wrapped in lettuce leaves along with steamed rice and (optional) ssamjang. *Tip: Slicing beef in to thin strips is made easily if you partially freeze the steak. Simply wrap it in plastic wrap and place in the freezer for 1½–2 hours until it is firm but not completely frozen then remove, unwrap and slice with your sharpest knife.